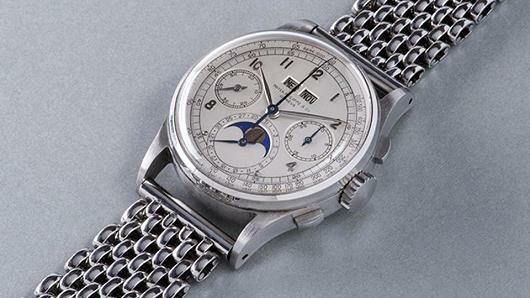 “Improving on Perfection” by Rossie Newson from his 2016 Cuban Club shoot featuring Chanda Am, Samah Yaseen and Anisa French. Makeup by: Lucrecia Suarez Special thanks to Christine Cowart and Jeff Hartzog and The Cuban Club, Ybor City. 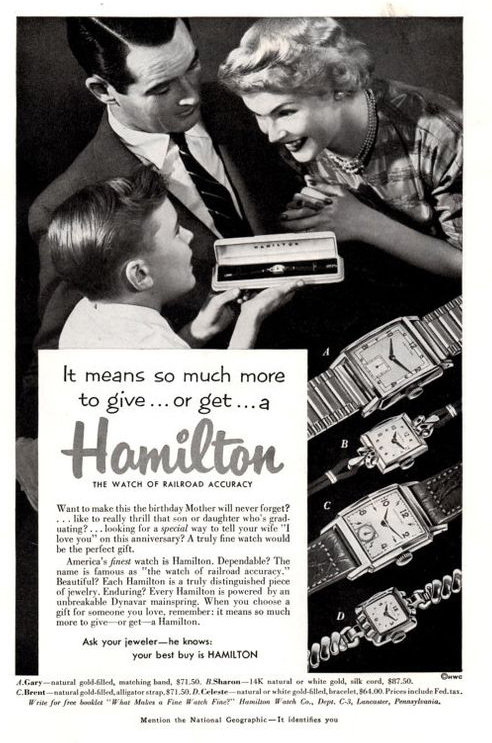 Classic Hamilton Watch Company ad featuring several different models, circa 1953. 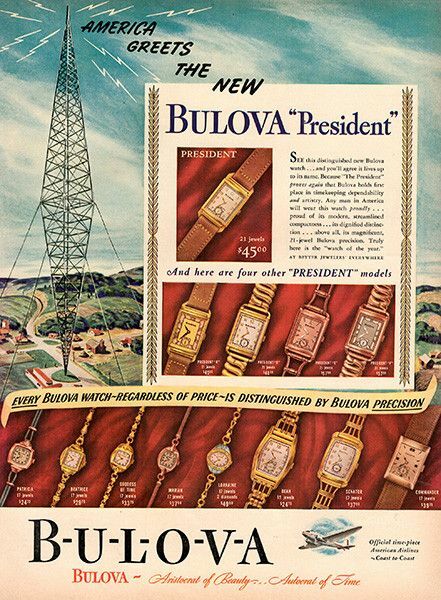 Bulova advertisement introducing the new “President” line of watches, circa 1940.